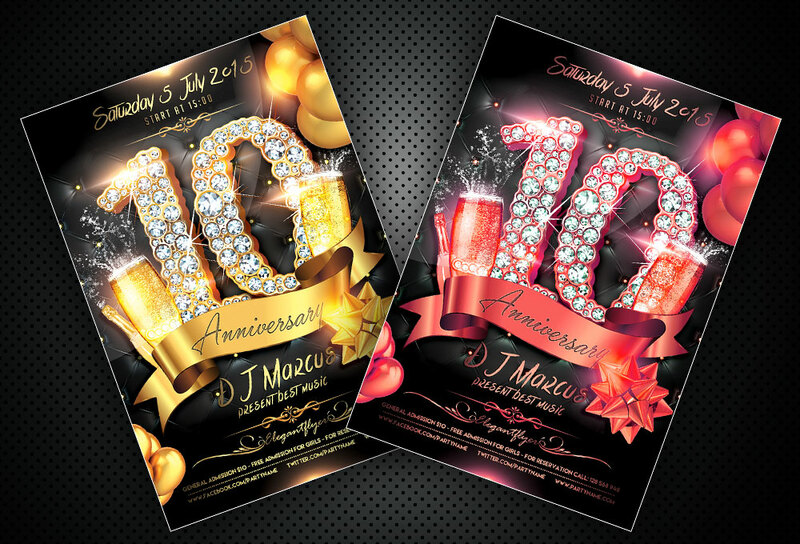 Friends, today’s freebie is an anniversary flyer PSD file along with the Facebook cover PSD created exclusive for our readers by ElegantFlyer.com. The flyer design is brilliant and apt for star-studded anniversary party. You can easily change texts, content, images, objects and color palette. The PSD file is very well organised, with color coded groups and layers named appropriately. The fonts used in the design are free and you can find the details of the fonts along with instructions for editing the PSD fiiles.